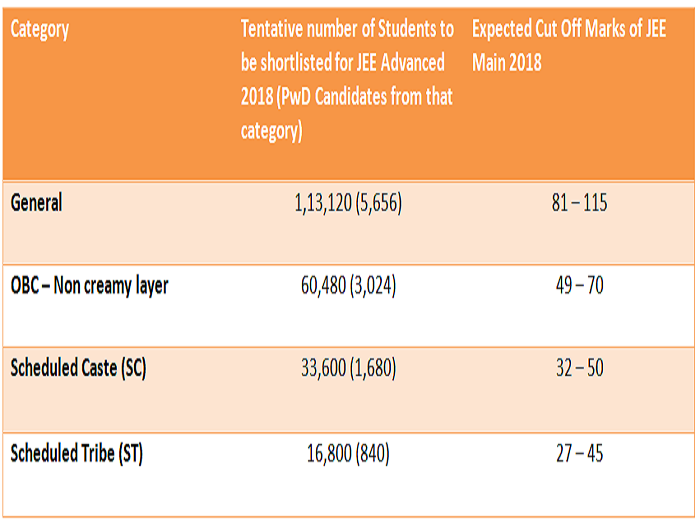 The JEE Main Cutoff (expected) is available along with All India Ranks. The exam conducting body will announce the JEE Main 2019 Cutoff marks after result declaration today. Cut off mark is the minimum score necessary to clear a test. 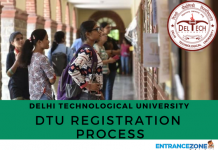 And, candidates need to obtain the JEE main cutoff score in order to clear the exam and appear in the next level of the examination which is JEE Advanced for getting admission into IITs. The cut off marks depend on various factors such as the number of applicants, the level of question paper etc. CBSE will declare the Cutoff for JEE Main after the result is out. The cutoff will be different for different categories. For more details regarding JEE Main Cutoff 2019 go through the article. Latest Update: JEE Main 2019 April Application released. Click here > Application Form. JEE Main 2019 Result of January session announced. Check JEE Main result here. Also, How to calculate JEE main rank from Percentile is given here. Check out the JEE Main 2019 cut off marks required for you to qualify for JEE Advanced 2019. JEE Main 2019 will take place on 08 April 2019 in offline and online mode respectively. The result declaration will happen in April 2019. JEE Main 2019 Cutoff is the minimum score necessary to clear the examination. CBSE had declared the JEE Main Cutoff in the last week of April, after the result declaration in 2019. The cutoff for General category was 81, 49 for OBC-NCL, 32 for SC, 27 for ST, and 1 for PWD in the previous year. The category wise cut off is presumed by coaching classes are given below. The table below provides previous years jee cutoff marks. And, Candidates can refer to these marks for getting an idea about the probable cut off for 2019. The cutoff for general category was 115, 105, 100, and 81 respectively in 2014, 2015, 2016, and 2019. Hence, we can see a decreasing pattern in JEE Main Cutoff score in subsequent years. According to the experts, the lower JEE Main Cutoff 2016 in comparison to 2015 was the result of the increased pool of JEE Advanced. Further, the total number of top candidates filtered for JEE Advanced in 2016 were 2 lacs from JEE Main 2016. Whereas the total number of candidates to appear for JEE Advanced in 2015 was 1.5 lakh. Hence, more 50,000 candidates were shortlisted in 2016. Now Top 2,24,000 candidates will able to give Advanced exam after scoring in JEE Main 2019. The JEE Main authority will release All India Rank (AIR) in June last week. Also, the All India Rank of a candidate will be the basis for admission into NITs, IIITs and other GFTIs. Further, the candidates will get the call for counselling on the basis of marks obtained in the JEE Main exam. Further, the merit list will be available by taking into account the JEE main score and 12th board percentage. However, There will be a separate merit list will for each category. What is the qualifying marks for JEE Main? A: The qualifying marks for JEE Main are subject to change every year due to the various factors involved in calculating. Exact qualifying marks cannot be informed for next year unless the official cut-off marks are released. I have cleared JEE Main 2019. Can I appear for JEE Advanced or is there a specific cutoff for this? A: To appear in JEE Advanced, you need to have a rank up to 2,24,000 in JEE Main 2019 exam. Only such candidates will have a chance of being allotted seats in B.Tech programmes in IITs. 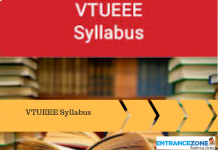 What is the category wise cutoff for JEE Main 2019? In case of a low rank, should I drop and prepare or check for admissions in private colleges? 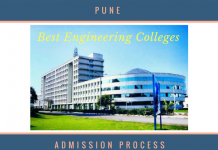 A: JEE Main 2019 scores will be accepted by many state level and private engineering colleges. Instead of dropping and wasting your year for preparation, you can apply for admission to best private colleges. 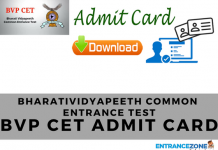 What is the cutoff and admission process for students from Nepal, Bhutan or Bangladesh? Is there any reservation or specific quota for them? A: Candidates from Nepal, Bhutan or Bangladesh will have to apply for JEE Main 2019 under foreign category. Such candidates will have to fill and submit the application form of JEE Main 2019 which has been released on September 1. However, no reservation or specific quota for them. My parents were Indian and now all of us are foreign passport holders, but I have studied in India since class 2. Can I apply for JEE Main 2019? Which category will I come under? A: In case, your parents hold the Overseas Citizen of India (OCI) certificate then you will be able to apply for JEE Main 2019 under that category. Otherwise, you will have to fill the application form of JEE Main under the foreign category. What is the JEE Main Cutoff for NITs? A: Candidates can check the closing rank for general category for top 10 NITs from the table given below. What is the JEE Main Cutoff for IIITs? What is the JEE Main Cutoff for CFTIs? A: Candidates can check the closing ranks of JEE Main for the top 10 CFTIs from the table given below. Stay informed about EntranceZone latest updates and feature article regarding JEE Main 2019. Appreciation to my father who shared with me on the topic of this web site, this webpage is actually awesome. Fabulous, what a blog it is! This website gives useful facts to us, keep it up. MY SON GOT THE ADMISSION IN SVNIT SURAT. IF OBD-NCL CUTT OFF PASS. I got 44 percentile score in her main. Can I have a seat at out.